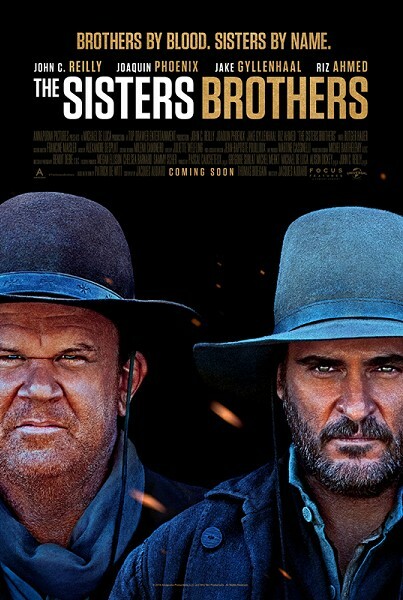 John C. Reilly and Joaquin Phoenix strike fresh ground in their latest western, a blackly comic and richly detailed take on the genre, based on the award-winning novel of the same name. Eli and Charlie Sisters are dogged, dysfunctional hitmen in the pay of the rich and mysterious Commodore (Rutger Hauer), operating along a Pacific coast currently in the thrall of the Gold Rush. Divided in their attitudes towards their unsavoury profession, the pair are suddenly given a larger assignment: tracking down Hermann Warm (Riz Ahmed), a fugitive chemist who may hold the secret to greatly increasing the gold’s value, and John Morris (Jake Gyllenhaal), a high-minded detective who has surrendered to Warm’s utopian visions. Already beset with interior struggles - drink, bickering and unspeakable medical problems make staying on a horse difficult enough - the brothers are barely equipped to tackle a messy and often surreal early California, where both man and nature conspire to make the job even harder. Writer & Director Jacques Audiard - who reached high acclaim with the gripping A Prophet in 2009 - brings a uniquely European edge to this familiar American genre.